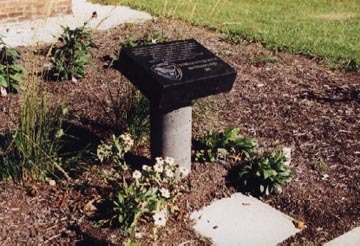 The Portage County Historical Society has a Memorial-Bicentennial Garden. The purpose of the garden is to honor the memory of Portage County Citizens and is now the permanent home of the Ohio-Portage County Bicentennial Bell. The garden area starts at the driveway and parking lot and goes to the south side of the clock tower. It will be an ongoing project, taking time to fill in the space. Shrubs and perennial plants will cover the 25 x 35 foot area. More area can be added as needed in the future. A fence has been placed around the circular pad where the bell is located to protect it and the bushes from the snowplow. A flagpole is at the west side of the bell pad and inside the fence as well. A pink granite lion, donated by John Carson Jr. & his wife Beverly Carson of Suffield, now stands at the very south side of the garden area. The lion even has a name, Moses. 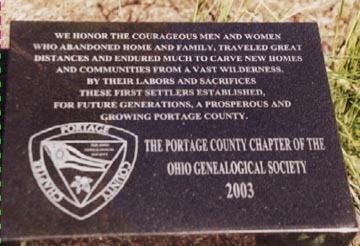 The Portage County Chapter Ohio Genealogical Society has placed a small granite memorial in the garden area which is dedicated to the pioneer men and women who settled the county.  Scroll down to view memorial and read inscription. For a donation of any amount of money a plant or other garden necessity will be placed in the garden to honor the memory of a family member, friend or pet. Once a donation has been made your name and the name of the family member, friend or pet being honored will be placed on our web page. A list will be placed in our newsletter and a sheet posted at the museum. We will update all as necessary. Mr & Mrs John Carson Jr.
We wish to thank the following local businesses, organizations and individuals who have contributed in some part to the Memorial Garden.